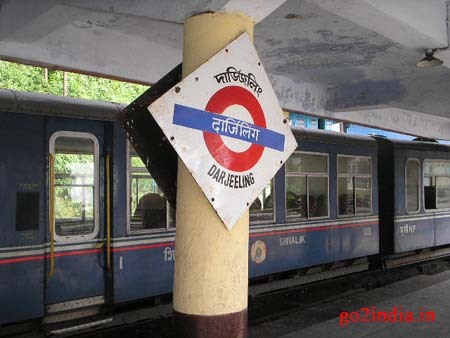 Darjeeling Toy train runs on a narrow gauge track between NEW JALPAIGURI popularly known as NJP ( Station code NJP ) and Darjeeling ( Station Code: DJ ) is one of the main attraction for the tourist coming to this region. This train covers a distance of 88 Km in six and half hour journey. This train has got first class setting and second class setting compartments. Toilets are available in each compartment. 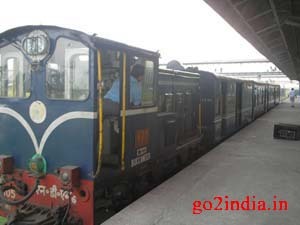 The main train Darjeeling Mail ( Number 1D ) now runs by a Diesel engine with few compartments. 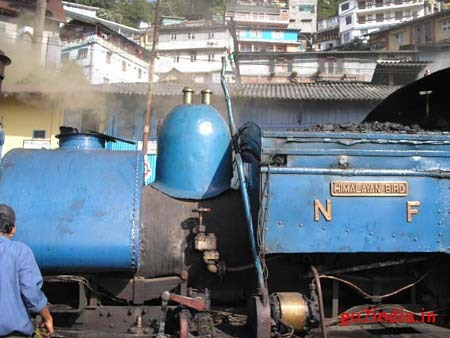 There are steam engines still maintained by Darjeeling Himalayan railway but they operate mostly at the Darjeeling end for joy rides. This railway was dedicated to the people of the world by Miss Mamata Banerjee on 26th Nov 2000. This train line developed in phases was opened in 14th July in the year 1881. The full stretch is now operated by diesel engine was originally operated by steam locomotives. 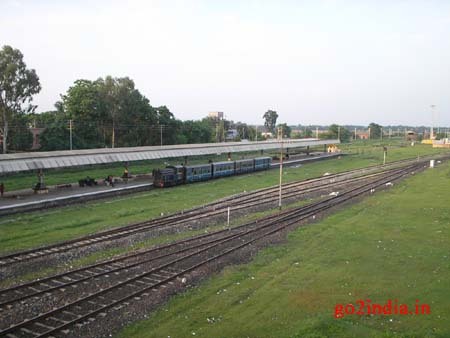 This railway was purchased by government of India in 1948. The trains start from NJP station and after Sukna it stats climbing up and at GHUM station it reaches its peak at 7407 ft height above sea level which is the highest station in India. The journey ends at Darjeeling station located at a height of 6812 feet by passing through a series of hair-pin curves, loops and zig-zags. 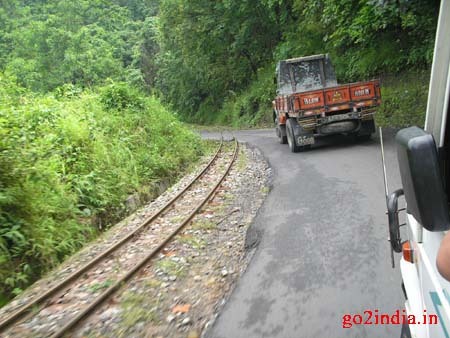 This train track passes through towns and at many places it runs like a road foot path by the side of the main road connecting NJP to Darjeeling. Most of the time the road vehicles overtakes this slow moving train. Locals prefer the road as it saves time than spending extra three hours. But the popularity of this train is high among the tourists coming to this part of the world. Tourist covers the long stretch of hill road from NJP to Darjeeling by road and then takes a joy ride at Darjeeling station. 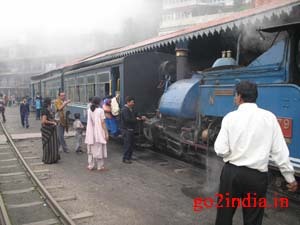 There are two joy rides trips (Train number is 12D) of nearly three hours duration starts from Darjeeling in day times. Tickets can be booked from Indian railway web site for the joy ride. 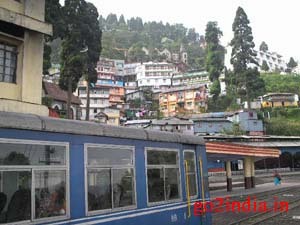 Joy ride tickets are also sold at the Darjeeling station booking office but they are in high demand in tourist seasons. If you have missed both joy ride and NJP Darjeeling train and wants to go for a train ride here then there are some passenger services available and booking for these trains done at local counter. 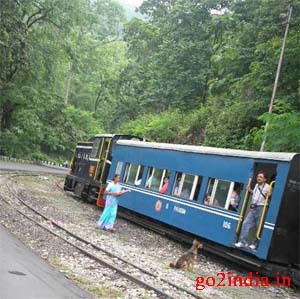 You can go up to GHUM from Darjeeling in these local trains. For these local trains limited tickets based on the number of seats ( first class and second class ) are sold at ticket counter and no over booking is done here. 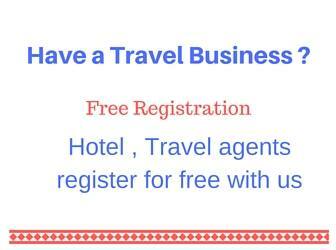 From GHUM local transports available to return to Darjeeling by road. 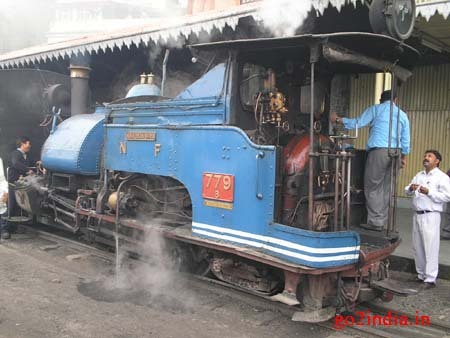 Ghum is at a distance of 7 KM from Darjeeling station and it takes nearly 20 to 30 minutes for the steam engine to cover this 7 KM distance. The compartments are given local names, they are Talung, Koktang, Sandakphu, Khumbu. 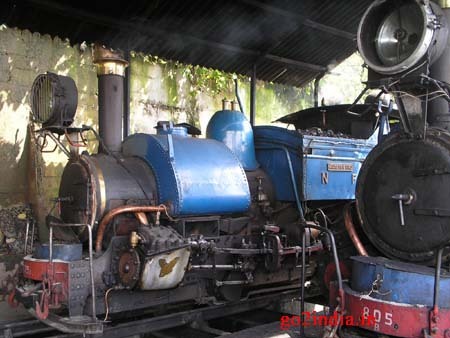 where can i book dajeeling toy train ticket online.